Keith is in charge of Pinnacle's overall business development. 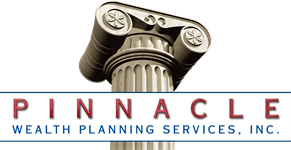 He works closely with Pinnacle's high net worth clients, CPAs and attorney relationships. He has been giving financial advice to individual clients since 1990 and has been with Pinnacle since 1998. Keith serves on Pinnacle's investment and financial planning committees. He has a BA in Finance from Baldwin Wallace College, and has earned the Certified Financial Planner (CFP®) and Chartered Financial Consultant® (ChFC) designations.